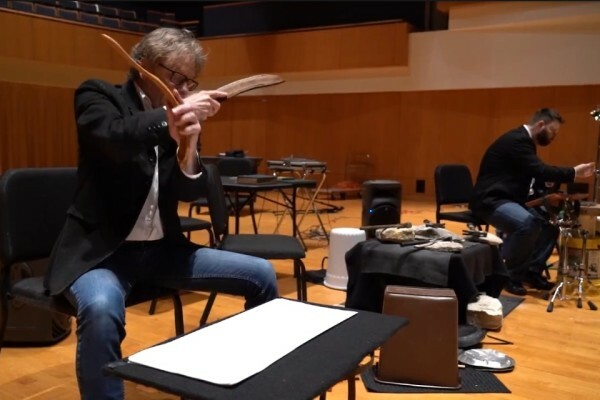 Percussionists Allen Otte (of the pioneering early percussion ensemble Percussion Group Cincinnati/Blackearth Percussion Group) and John Lane (Texas) present The Innocents, a musical response to the well-known Innocence Project. Using spoken word, electronics, field recordings, found objects and traditional percussion, the work centers on exoneration of those wrongly convicted through DNA testing, plus reform of the criminal justice system to prevent future injustices. Excerpts of their music were recently featured on the DVD In Their Own Words, released through the Innocence Project. Bonnie Whiting and the University of Washington Percussion Ensemble open with music by composer George Lewis and new original compositions/improvisations inspired by Otte and Lane’s work.